We posted about isometric artworks and have even posted a tutorial on how to execute something similar. Enter the work of Coen Pohl, an artist's work we're excited to share some beautiful artwork mixing isometric cityscape with typography. The project is titled City Life and we would love you to take a look at some of the pieces after the break. After noticing the interest in my previous work 'Isometric Hong Kong", I wanted to make a similar setting but with more details. This time, I based the design of the buildings on the typical old but beautiful New York skyscrapers. 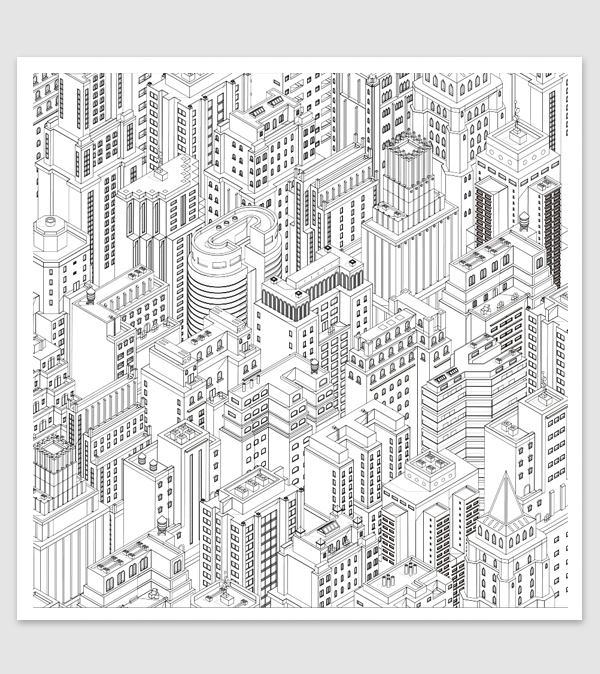 My goal was to create a large overall illustration of a cityscape and being able to take metaphorical 'photographs' of close ups of the buildings. To keep the hype about the Rio Olympics Games on Abduzeedo, we decided to feature related projects that designers and artists have worked on for the occasion. There are some projects that are simply hard to describe how awesome they are. The Classic. Typefaces by Particle (Gao Yang) is one of those memorable 3D and typography posts.